Our fall tours focus on apples. 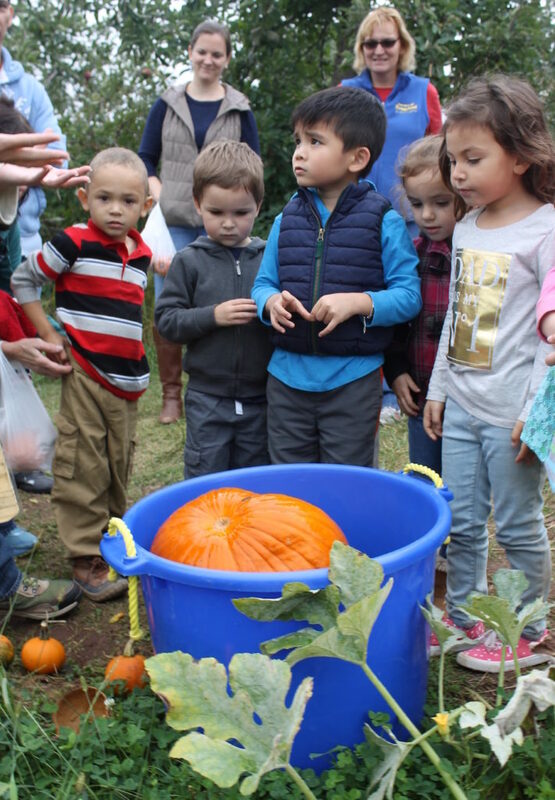 Your class will learn about an apple’s life cycle and get a back-stage pass to see what happens to an apple once it is ready to be harvested at Weaver’s Orchard. ***Please note: our commercial cider press typically does not run on Wednesdays. If in the event our commercial press is not in operation, your class will participate in a station with an old hand crank press. Each group must meet a $100 minimum for the Combo Package, and a $85 minimum for all other tour options. Full amount must be paid before the tour by tour coordinator. We do not accept personal checks from tour goers. We provide a complimentary pass for one teacher or leader per guided tour and a free picnic area for your group (you must request the picnic area when you schedule). *Note that specific activities included in each tour will vary based on the season and weather conditions. Parking is FREE and available at our tour parking lot. There is a separate school bus parking area. Contact us online or call (610) 856-7300 to schedule your school tour today! Looking for something we didn’t mention? We can work with you to customize the perfect package for your group. Don’t forget to reserve our picnic tables if your group requires this. For specialized tours or prices for individual activities, customers may contact a member of our team at 610-856-7300 for a quote. Groups that wish to come pick fruit without a tour guide may do so any time the pick-your-own areas are open, provided children are supervised. Groups that wish to conduct their own group activities at the orchard must receive prior approval; please contact us at 610-856-7300.